The Australian Government has now been labelled as the most intrusive government in the western world. It has been revealed that on a per-capita basis, the Australian government spies of its citizens more than any other western government. 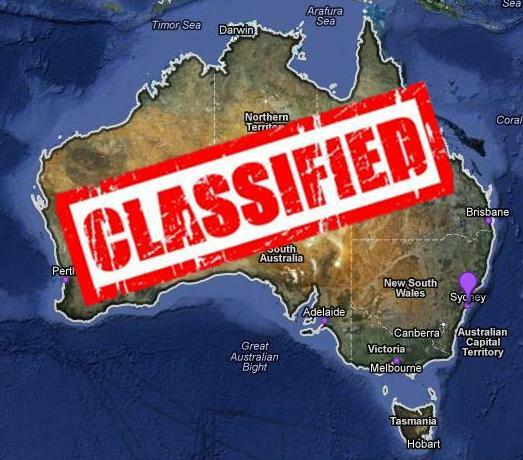 In 2010-2011, more than 3,400 Australians had been spied on by more than 17 government law enforcement agencies. This includes state and federal police agencies, the Australian Tax Office (ATO) and Medicare. The shocking truth is that these government agencies can access telephone and Internet data records without a warrant from a judge. On a per capita basis, the Australian government is more than 18 times likely to intercept telephone calls than the United States government (Source: Sydney Morning Herald). Even more disturbing, these government agencies accessed telephone and Internet data records an astonishingly 250,000 times without even recording why and when these intercepts had taken place. There is more accountability in Australia then in the United States of America. The Australian Federal Police has better relationships with Australian telecommunication companies. Australian telecommunication companies allow government agencies more access to personal data. People are only spied on when the matter is considered serious. What Neil Gaughan failed to mention was that the power to grant warrants was taken away from judges and given to the administrative appeals tribunal, making it easier to obtain warrants. This therefore means that the remaining 3,473 warrants issued to spy on Australians had been issued by members of the administrative appeals tribunal, an unethical organisation that is composed of private citizens who are appointed by the government. To highlight how far down the rabbit hole the Australian Government has fallen, the latest annual report from ASIO (Australian Security Intelligence Organisation) highlighted that it completed more than 2,900 intelligence reports, 575 reports on threats from the Arab spring, G20 Summit in Korea and Commonwealth Games in New Delhi and various reports on the implication of Osama Bin Laden’s death for Australia. Considering Australia’s population is only around 22 million, why is there such a blatant need to invade the privacy of ordinary Australians on such a grand scale? The high probability that law-abiding Aussies are being spied on is no surprise. Since 2005, the workforce of ASIO has increased by a whopping 62%. Even more disturbing than the number of telephone intercepts in Australia and the size of ASIO is the fact that Australia’s law enforcement agencies claim that someone committing an act of terrorism could be someone who “destroy(s) trust and to spread(s) fear and paranoia”. How many Alternative News Blogger’s fall into this category? Who knows, maybe the Globalist Report is being monitored by ASIO. Unfortunately, how this data has been abused and how this data has been used will only be known in 20 years, as this is the prescribed period an organisation like ASIO can keep secret their illegal activities. Therefore, if the Australian Government has the willingness to commit such violations, then how much more willing must organisations like the United Nations be to limit the right to privacy of everyone else?
? Culture in Decline: Economics 101 [Episode2] (movie) (R)evolution ?